It feels much longer, but it’s been less than 6 months since Android Wear hit the market. They have stealthily crept into use without much fuss, despite revolutionising the wearables market. Reducing the time spent interacting with your phone, but still mining all of that lovely data for Google. The launch devices were pretty average, the Moto 360 wasn’t for everyone despite its anticipation. So now its time to see, perhaps one of the more experienced smart watch maker, Sony take on Android wear. 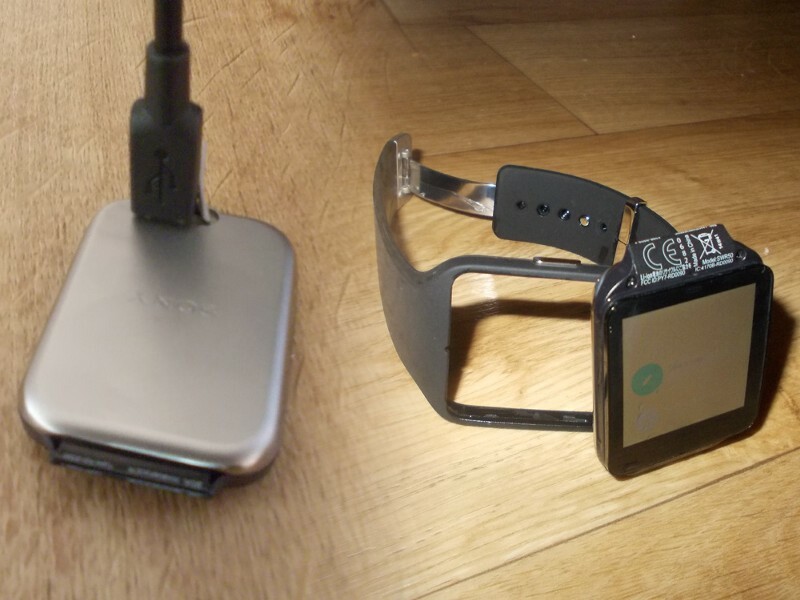 The Sony Smartwatch 3 review is straight ahead. Despite claiming they had no intention of making a watch for Android Wear, they have followed up two generations of Sony Smartwatch running their own OS, with a third — this time running Android Wear. 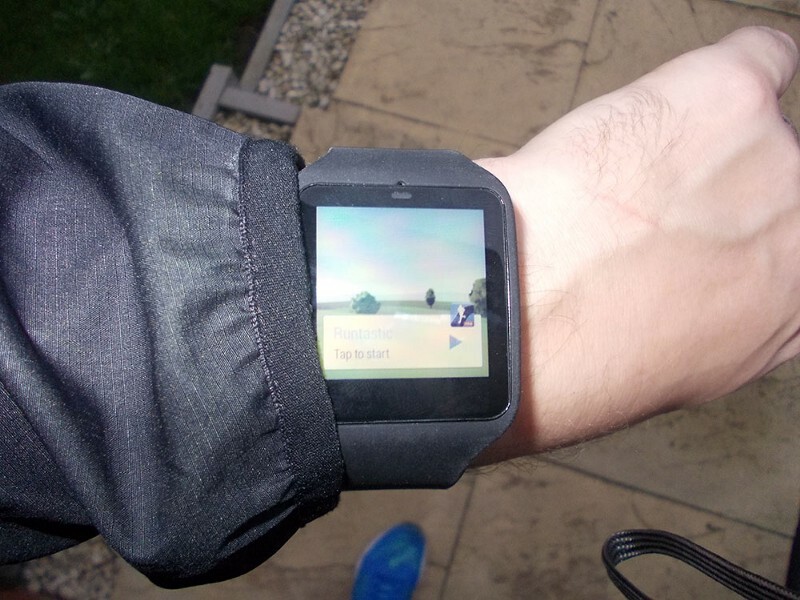 The imaginatively titled ‘Sony Smartwatch 3’ has the same rugged lifestyle proof ratings that their phones do. Each Android watch has been water resistant, but the SM3 sports an IP68 rating mean you can submerge it in water for up to 30 minutes, should you feel the need. ￼ The IP68 rating means you can leave the watch on when going about your daily life and it will stand up to everything — swimming, running, working and even the occasional bump and scrape can all be shrugged off, although you will still suffer the phantom touches from water that have plagued every model so far. With its basic, no nonsense name echoed in its design (that in many ways takes on Google’s Nexus design language), it isn’t going to win any design awards — but what some people may call boring and plain others will call understated and sleek. In certain light conditions on the black model, it’s sometimes impossible to tell where the screen ends and the band starts. Choose any colour band you like, but they all are made of the same high quality rubber, with a matte finish. Matched with a clasp similar to that of a normal fashion watch, you have the making of foolproof comfy fitting. 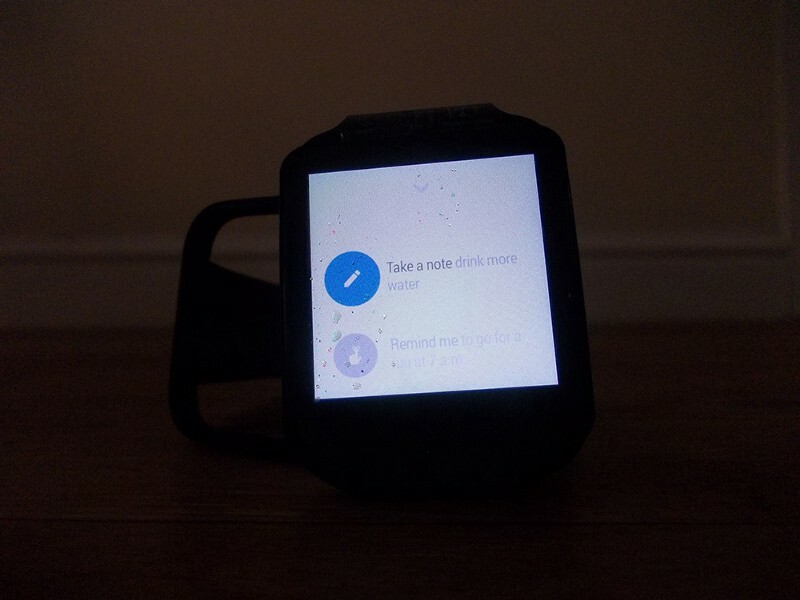 Unfortunately this is the sole area that lets the Smartwatch 3 down, and does it quite badly. For want of better words, the fit is not going to be for everyone. The clasp is very big and a little loose matching this to there being too much space between notches, the fit can occupy that annoying space between one setting being too tight and the next too loose. Combine this with the flat ‘core’, it fits much like the LG G Watch rather than the much comfier Gear Live. Of course everyone’s wrists are going to be different, so a try before you buy is recommended as the fitting may not be for everyone. Dust resistance may be a box that doesn’t need to be ticked, but anything to life proof it can only help. What that does mean is that everything is sealed into the watch, but its not actually a watch per se. The main body pops out to reveal what Sony call ‘the core’. This can then be swapped into other bands, and presumably other things, but until now there is just a white, yellow or a pink rubber band to choose from. If they could match this to a metal and/or a leather option, you would have a look for every occasion. However, achieving this Android Wear for work and play may be down to Google improving the speed in switching wearables, with manufacturers eventually releasing easily changeable watch bands to rival the yet unreleased Apple Watch. This core charges using a standard mini USB cable, so ditches the docks and proprietary chargers that others have needed. Which makes a very welcome change, as some of these have caused issues. The IP rating means, much like the Sony phones, is covered up with a rubber flap. Which the longevity of which remains to be seen, but gaining access to the connection is easy to achieve, much more than messing around with a required dock or connector. The comparison to other Android watches unfortunately has to carry on, as with the Sony watch we could be at the start of v2 of the hardware. No bold and revolutionary changes are seen with the Smartwatch 3, but how many improvements can be made to a watch? Everything sees a much needed improvement to the areas that really matter. The screen is the same 1.6 inches we have seen before, with a new ‘Transflective Display’ providing the 320x320 display. This fancy technology means that while the screen isn’t as vibrant and colourful as that seen on the Moto 360, you can see it clear and accurately in even the brightest of sunlight. A fantastic improvement to what was the biggest gripe of the first wave of Android Wear watches. The battery receives a small bump to 420mah, which hardly seems a huge deal given the LG watch had 400mah when it hit the shelves. With improvements to the screen and internals, the claimed 2 days of battery life is easily achievable. Where a day of use had me needing the charger at 7pm with the Moto 360, i’m easily able to resist the charging cable for more than 48 hours with the Smartwatch 3. This is the first Android smartwatch based on the Broadcom SoC platform, packing a 1.2GHz Quad-core ARM Cortex A7 processor and its own on board GPS Sensor allowing for phone free tracking if needed. Along with off live music playback through Bluetooth headphones — thanks to the updated Android Wear OS, you could run phone free if you needed. 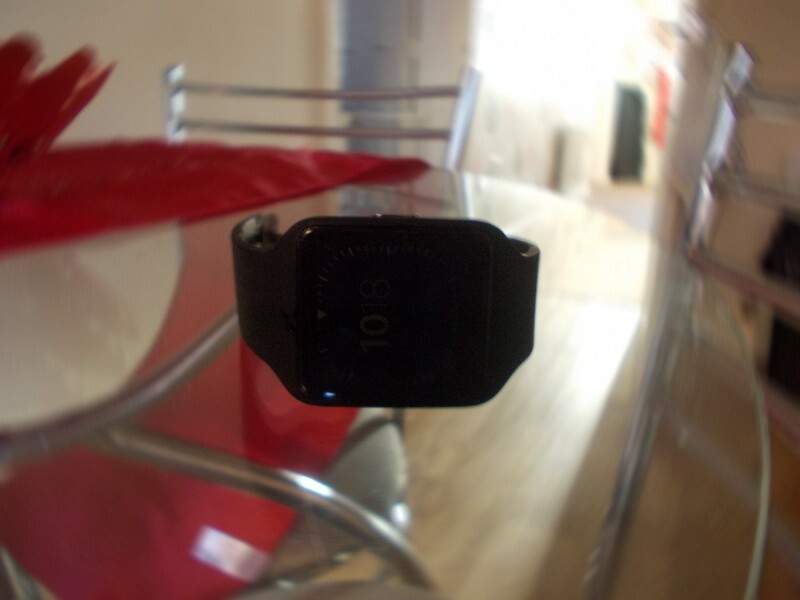 The watch also has built in wifi, all be it lying dormant while the Android Wear support lacks support. A future update may mean phone free updating too, should Google wish to take Android wear down that street. Android Wear on the SM3 is in stark contrast to that seen on the Gear Live. Rather than duplicating or replacing every wear app, the SM3 is completely stock, save for a few watch faces that are actually very well designed. Usefulness and ability is the same as any other Android Wear watch currently on the market… if you have used one you have used them all. All being said this is by and far the best Android Wear watch on the market at the moment. There are improvements to be made in comfort, but the ability and usability from the thought Sony has put in more than makes up for it. It would be hard to choose this over the Moto 360 or even the G Watch R for styling, but the all round ability of Sony’s Smartwatch 3 is second to none.